A new revolution is presented by LageenTubes. 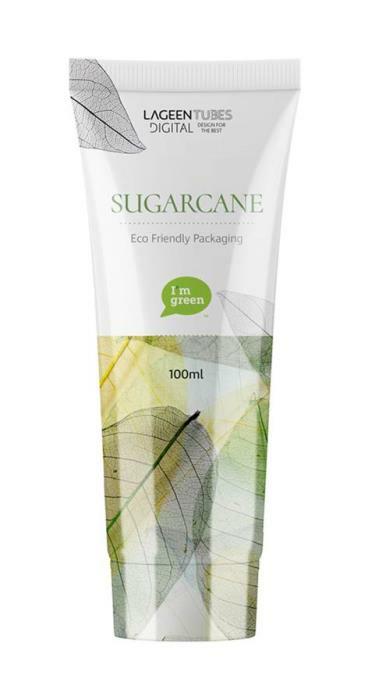 Now for the first time in the world of cosmetics packaging, LageenTubes is introducing a revolutionary direct Digital Printing on GREEN Plastic Tube. The decoration freedom derived from the new digital printing technology for cosmetics tubes, now available on sustainable eco-friendly tube – the GREEN FREEDOM is here for you – the SUSTAINABLE DIGITIZED TUBE enables you an unprecedented Design FREEDOM. Combining 2 major pillars of consumer experience, sustainability and the outstanding decoration through packaging, differentiates your brand . A sustainable eco-friendly packaging digitally printed design without limitations gives you the competitive advantage appreciated by your consumers. For the first time, your eco-friendly tube can provide unique customer experience with End to end printing including the cap, 360˚ decoration without a gap or over- laps, unlimited customization including full personalization, Ultra realistic images, unlimited shades, gradients and half-tones. Low carbon footprint emission – Sugarcane is one of the greatest carbon sinks existed. It metabolizes more CO2 to grow than most plants and trees and it regenerates by itself from its own roots. The tube is fully recyclable.